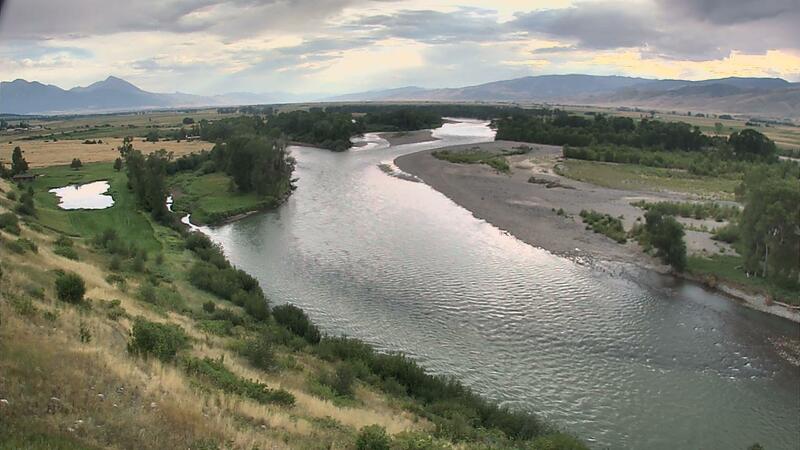 All sections of the Yellowstone river from the National Park Boundary to the confluence with the Missouri are back open to fishing and all recreation. After about a week of mud we are finally back on the water. Saying that fishing has been a little tough the last few days. With bright sunny weather the dry fly game has been slow. Better luck with subsurface patterns: the AW bugger, Bow River Bugger in black, Crystal bugger in olive and black sz's 8 and 10, Pat's Rubberlegs in black and brown sz's 8, 10, 12, PT nymphs in 18 and 20, and Lightning bugs in 12 and 14. Fish are holding in the riffles and deeper buckets. The weather is supposed to turn cooler with possible showers this weekend. We should see some BWO's, and it's possible we see more mud! We will keep you posted. Check out that bow caught by guide Josh on the Yellowstone right before she muddied up! Fishing in the park has been pretty good. The Lamar has been muddy as well but Soda Butte and Slough were good to go. Baetis, Midges, and still some Hecubas to be seen over there. The Northwest region including the Firehole, Gibbon, and Madison rivers is a very good option. The kicker here is that the road from Mammoth to Norris right now is closed for construction. It is planned to reopen on October 7th but for now you either have to drive down through the Gallatin Canyon or take the long way around over Dunraven Pass. If you do manage to make it, swinging soft hackles and small streamers is a fun tactic this time of year. BWO's, White Miller Caddis, small streamers, and the occasional beetle or ant for the warm days should cover your basis. The Paradise Valley Spring Creeks have been fishing pretty well lately. Baetis and Midges are your go to patterns. Nymphing has been most productive without active feeding fish. Use a Red Zebra midge paired with a PT nymph in size 20 and 22. Another great pattern for the creeks this time of year is the Split Case BWO nymph in 18 and 20. The ant or beetle will also get fish looking on these warmer days. Once the weekend weather rolls around we should see some more baetis. Bring sparkle duns in sz 20 for the hatch! Let us know if you have any questions. Now get fishing!